The WisCOSH Board of Directors meet on a monthly basis and our meetings are open to WisCOSH members and the general public.For further detail call (414) 933-2338 or E-mail us at bodmeetings@wiscosh.org. Every day workers in America are faced with a deadly dilema: risk losing their life or lose their job. Your browser does not support the video tag. 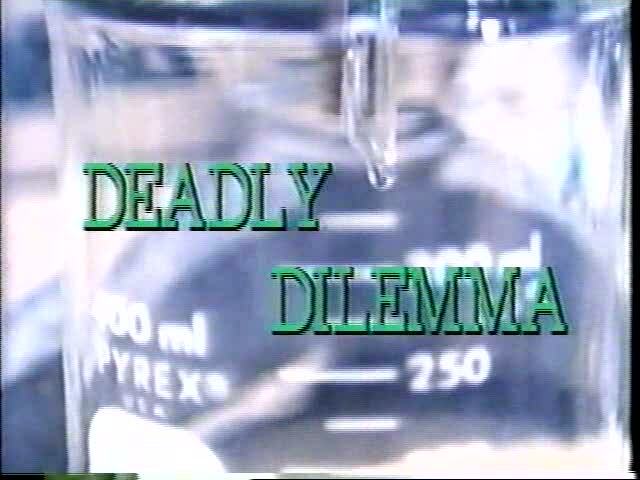 You can try these links to Deadly Dilema faced by workers every day everywhere Deadly Dilema. As much and as fast as things change one thing remains fairly constant: workers die needlessly due to workplace incident, or exposure to hazardous substances which cause illness/disease.No workplace or work-related death is pleasant but striving and straining to breathe every minute of every day for the last several years or decades of your life because of Asbestosis, Silicosis, Brown Lung, Black Lung, Bronchitis or other illness caused by workplace exposure is something no one should have to endure. Until workers stop dying on the job or from work-related exposures WisCOSH will continue to fight to change the prevailing conditions. And until workers stop dying on the job or from work-related exposures WisCOSH will continue to hold memorial events and fight to change workplaces for the better. Or there may be an event in your local area. No worker deserves to die on the job or from occupational illness/injury. This article will continue to be updated as more information is known. On Sunday, April 28, 2013 WisCOSH will join together with workers, advocates and employers to both “Mourn for the Dead” and “Fight Like Hell for the Living“. You are invited to join us in Milwaukee, WI at these events. Workers are invited to gather at Zeidler Union Square Park and commemmorate those workers lost to workplace incident or exposures in 2012. Sheila Cochran of the Milwaukee Area Labor Council will be the Master of Ceremonies. A number of speakers have been invited to speak including Rep. Gwen Moore, Mayor Tom Barrett and Milwaukee County DA John Chisholm. WisCOSH will read the names of those workers known to have died due to workplace incident or from workplace exposure as well as the names of those military personnel from WI that were killed while deployed followed by a moment of silence and candlelight vigil. WisCOSH is hosting a fundraiser Chili Dinner and a discussion on current and proposed actions at the State and Federal levels which are or may have an effect on worker and/or workplace safety and health. There have been a number of proposed laws and changes to laws which is, will or could impact workers lives and livelihood. There is no cost to attend and participate in this discussion. Rep. Gwen Moore, Sen. Tammy Baldwin, Mayor Tom Barrett among others have been invited to speak. This year WisCOSH will host a lunchtime Chili Dinner which will include 2 kinds of chili [vegetarian, meat], fixings [cheese, peppers, crackers, hot sauces], homemade cornbread and desserts. A variety of beverages will also be available. Please notify WisCOSH in advance if possible if you need the vegetarian dinner so that we can ensure there will be enough. The cost for the meal is $10 paid in advance or $12.50 at the door. Children’s meal is $5. Checks or money orders can be sent to: WisCOSH Office & Worker Training center, 1535 W. Mitchell St., Milwaukee, WI 53204. If you want/need to pay in cash please call (414) 933-2338 before coming to the office to ensure someone is available to help you as the office is only open for limited hours during remodeling. After the meal and discussion WisCOSH will lead a procession over to Zeidler Union Square Park for the commemmoration event. Fourty-one years after the passage of the Occupational Safety and Health Act there are still many workers without any occupational safety and health protections and far too many workers are still struggling with unsafe and unhealthy work environments. Not too long ago Wisconsin Public Service Workers were told that they would have no say in the safety or healthfulness of their jobs and their work environment. The Protecting America's Workers Act [PAWA] would help ensure that workers who fix our streets, collect our garbage, make sure the street lights work and so much more are protected against greed and avorice. Right now these workers - and private sector union and nonrepresented workplaces as well - are waiting to see if the law was passed legally and perhaps also whether it would be legal to implement if it was. Each year on April 28 WisCOSH holds a memorial service to remember those family members, friends, neighbors and coworkers who lost their life to workplace incident. When it comes to worker safety there are no accidents only calculated gamble taken by the employer and paid for by the worker, thier family and the community at large. When it comes to unhealthy working conditions there are no winners, only losers. No one should have to die just because they went to work. No family should have to learn how to live without their son or daughter, brother or sister, mother or father, aunt, uncle, grandparent or friend. Good Jobs. Safe Jobs. It's Time! Good Jobs. Safe Jobs It's Time! More and more we hear from Big Corporate Intersts that regulations are job killers. That enforcement is a job killer. That asking corporations to pay their share in taxes is a jobs killer. There has been a rapid increase in employers willing to not pay their workers the wages they've earned. There has also been a growing legion of employers that deny the injured worker his/her just compensation and time to heal from work related injuries. WisCOSh will be returning to the Waukesha County Labor Council Delagate Meeting in April to present another of the free OSH trainings WisCOSH is able to provde for free under it's new Instatutional Capacity Building Grant from OSHA. WisCOSH wants to help as many workers as can be reached and is willing to hold training sessions when they are convenient for the attendees - including 2nd or 3rd shift or weekends. This month WisCOSH will provide "Workplace Hazard Hazard Identification and Elimination" training. This class will identify the six types of hazards recognized by OSHA and the heirarchy of hazard control and body mapping and workplace hazard mapping. With these basic tools workers can identify the injury and illness present in their workplace. WisCOSH has been invited by the Waukesha County Labor Council to hold some OSH Training sessions after the Delegate Meetings this Spring. WisCOSh will begin with March meeting and will present "Your Basic OSHA Rights and Responcibilities". In this class WisCOSh will present your basic rights under the Occupational Safety and Health Act of 1970, how to use them and how to protect yourself and your coworkers from retaliation for using them. WisCOSH will discuss the employers responcibilities and those of the worker as well. WisCOSH can offer this training, and several others, free of charge due to receiving funding from the National COSH's DOL/OSHA Susan Harwood Institutional Capacity Building grant. If you cannot attend this training but are interested in participating in a similar class WisCOSH would be happy to schedule you a class when it's convenient for you and/or your organization or group. WI Governor Attempting To Remove Worker OSH Rights! Workers from across the state have been heading to Madison to voice their displeasure with Governor Walker's decision to remove public sector worker's right to a safe and healthy workplace as well as the right to speak out about any such conditions in their workplace among the many other worker rights attacks included within the proposed "budget fix" legislation. Workers from across all industies and sectors are outraged that Governor Walker feels he has the right to proclaim from on high what rights workers have. He has started with public sector workers since private sector workers have been under continued attack for years and have been declining for decades. Most of WisCOSH's Board and much of it's membership traveled to the capitol and made their voices heard and their presence felt over many days time. Workers occupied the Capitol Building and visited their elected officials and left messages. The crowds included public sector workers, like teachers and office workers, and workers from the private sector some of which are represented by a union and many others who are not but feel it's a human right to bargain between employer and worker and that the Governor has overstepped his bounds. There were also many small business owners upset with the actions of the Governor which will tend to make it harder to do business within the state. It started with State, County City workers being forced to take unnegotiated furlogh days which closes offices and makes doing business impossible on days before and after holidays. Included in this group were many small family farmers who've been struggling to hold on for many years and see this as yet another attempt to force them into selling out to the large corporate agro-farms. WisCOSH encourages all workers to band together and make their voices heard by their elected officials. Call their offices, send them e-mail and hand written letters. Join us here at the Capito Building in Madison and make them know that they are there to serve the people who elect them not the corporations who attempt to buy and own them. Many communities have buses going to Madison for free or at low cost.